The recipes and instructions that come with a microwave pressure cooker are important to have to take advantage of this time saving device. This page features advice to help people locate an instruction manual for microwave pressure cooker. I am looking for instructions for microwave pressure cooker, as ours arrived without any. Thanks. Ok Folks, Here's what I found out by experimentation and observation. I looked all over the place and the best I can figure "There is no such thing as an instruction manual for the goofy cooker, only that flimsy cook book. I took it completely apart and noted how it was designed. It is not, in fact, a, true pressure cooker it just trap a bit of steam at a very low pressure and speed cooking just a bit. It cannot blow up! 1) Note there are slotted holes in the black knob, line them up with handles. 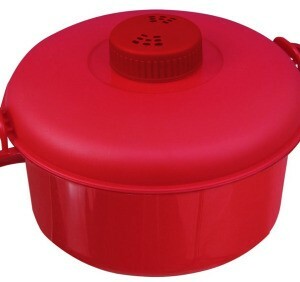 2) put in water and ingredients lock lid down with black latches and cook as necessary. 3) Remove from micro and turn black knob 1/4 turn to let off steam and let stand a minute or so. 4) Unlock lid and carefully remove and check or eat food. Voila! This product is just a doo-dah gadget that helps a bit, maybe! Search the page for 'microwave' as it's a long list. I hope one of these resources helps you. Otherwise, you may search for your brand name, product name, and 'manual' - there seem to be manuals available online for lots of things. 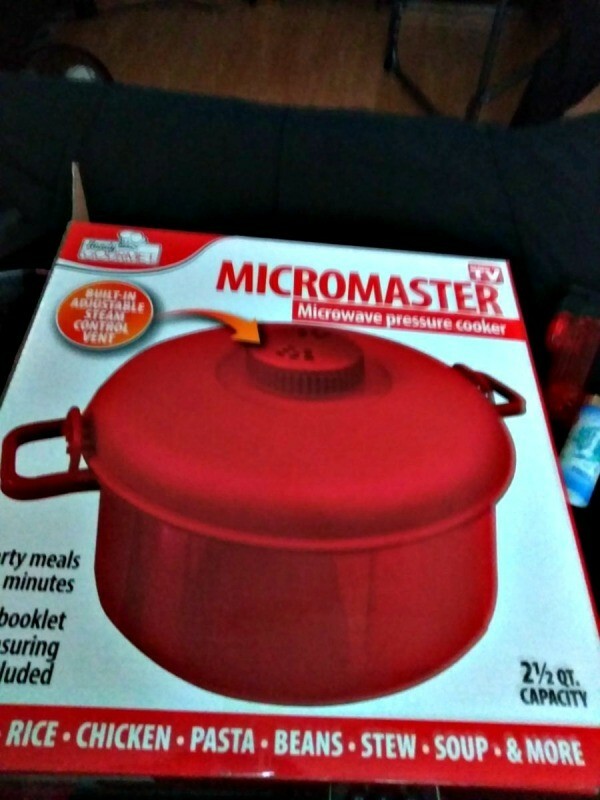 How do I assemble my Handy Gourmet Micromaster microwave pressure cooker? Do they have a customer service number or website or email info on the box? I would want them to give their exact instructions as anything with a pressure cooker in the title makes me nervous. If they don't have a good customer service department, my instinct would be to return it, but that is just me. Look on the box for a customer service number, ring it and ask for assistance in assembling your Pressure Cooker. Give all the info. you can that is on the box.